Clarkston and Waterford Wisdom Teeth | David A. Wright D.D.S., P.C. 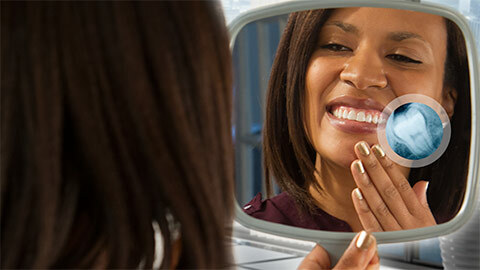 During our formative years in childhood and our early teens, our teeth are constantly changing. When we are children, our primary (or baby) teeth will fall out and make room for permanent teeth. When we are older, an extra set of molars will start to appear and develop underneath your jawbone and gums. These are your wisdom teeth. Sometimes people have room for the wisdom teeth to grow into place and function just like the rest of the teeth. Often, however, there is not room for these extra teeth, and this usually leads to problems later in life. Dr. Wright can determine if removal is necessary and he will also predict the ideal age for the removal of these teeth. Removal at the ideal time GREATLY reduces complications. Dr. Wright will perform the procedure in the comfort and safety of our practice. The offending tooth will be removed and your gums will be carefully stitched back together. 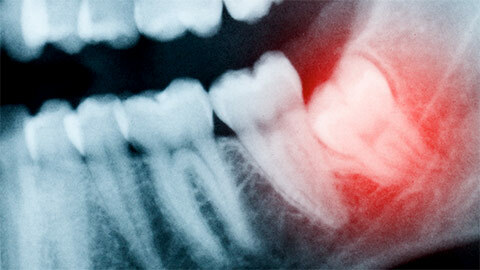 Recovery is easy, and usually lasts for a few days to a week after a wisdom tooth extraction. Throughout the healing process, patients are encouraged to rest and carefully maintain consistent, but careful, oral attention to their teeth. While we know that the idea of wisdom teeth surgery might be daunting for some patients, you can be assured that the wisdom teeth extraction we recommend, is a necessary and vital step to good oral health. If you need more information about Wisdom Teeth Extraction in Clarkston and Waterford, contact us today.